We, in the Caribbean, are familiar with thousands of persons — primarily from Cuba and Haiti — that for years have been risking their lives, leaving their homes in rickety boats to reach “greener pastures’’. Recently, we also have been witnessing thousands of persons from Africa and the Middle East risking their lives, through the same method, trying to get to the shores of Europe, to escape political and social instability. Needless to say hundreds — if not thousands — have lost their lives in the process, beginning with the on-land across-their-country journey in their nations where, in many instances, it necessitates traveling through deserts. Those who survive the deserts, then must face the seas that often-times becomes a watery grave. It is heart-wrenching to listen to the stories and the plight of these asylum-seekers and refugees. Most merely are fighting for survival. And, one wonders how in a world of so much plenty — a world in which boxers Floyd Mayweather and Manny Pacquiao, in one single contest, share US 300 million dollars among themselves – there is so much abject poverty and all its accompanying ills, such as armed conflicts and starvation. 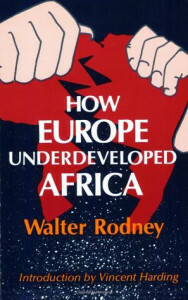 As it concerns Africans, I cannot help but remember the late Walter Rodney and his liberating work, “How Europe Underdeveloped Africa’’. If Rodney was still around, he would have written volumes more on that subject. The lasting legacy of exploitation of African countries, by the west, is there for all to see; that legacy includes the artificial division of these countries for the purpose of sharing the spoils between European powers. These historical western misdeeds, no doubt, are still haunting the African continent. Now, that does not explain fully why some countries — if not all African countries — continue to struggle and their nations’ poverty rate is so high. Even Nigeria, the biggest economy on the continent, now struggles with serious religious fanaticism. African presidents and prime ministers must take their fair share of responsibility for reckless and corrupt leadership. However, unlike Israel, no African country enjoys the love of a godfather like the United States; and, unlike our Jewish friends, Black people are yet to be compensated for the slave trade and slavery. These issues come to the fore. In the Middle East — and in particular Libya (an African country) — America’s shortsighted foreign policy assisted rebels to overthrow Muammar Gaddafi, without any single, unifying leadership to take over the reins. Now, Libya is nothing short of a failed state: different militias control different areas of the country, including the airport. Libya is simply lawless. The US invasion of Iraq, it is well-established, was based on lies; and, now, look at what’s happening. The American action — which was solidly supported by then British Prime Minister Tony Blair — has allowed for the growth of radical Iraqi Islamic groups that pose one of the most serious security threats to Iraq and the world. And, of course, the US policy towards Syria has inadvertently led to the same result. Now, I carry no brief for these leaders who were toppled; but the reality of what followed their removals is staring us in the face and we simply cannot ignore. At the moment, the world is faced with one of the worst refugee crisis ever. The United Nation has estimated that there are currently some 43 million uprooted victims of conflict and persecution worldwide; more than 15 million are refugees fleeing their countries. Coupled with that are some 27 million internally displaced people; people who are “refugees’’ in their own countries. 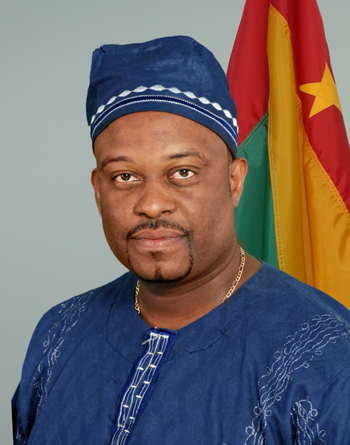 It appears, to me, that this represents one of the greatest challenges of our time; and while we, in the Caribbean, may not be directly affected by it, we must not ignore this reality. The wealthy developed nations continue to give lip service to these issues. The European Union is now forced to triple their spending on search and rescue of migrants to save face, after the loss of nearly 2,000 lives so far this year. It is estimated that nearly 40,000 persons will attempt the crossing to Europe by year-end. The European Union must be told that this is not just a moral and humanitarian responsibility; the EU, for all the centuries of looting the wealth of Africa, also have a legal obligation to house, feed, clothe, educate and employ Africans. It may be argued that not all European countries were involved in the looting, pillaging and exploitation. But, I will answer and say, that all of them now benefit — directly and indirectly. And, since they are one community now, they should share the burden.